The Beretta 92FS is one of the most iconic pistols in the world. The open-slide design gives the gun a distinct profile. The silhouette is even a popular choice for the “gun-free-zone” signs commonly posted by those who feel comforted by the protection offered by signage. Yet the family members of 92s are much harder to tell apart by their outward appearance than it would seem. There are so many unique versions that you might need a cheat-sheet to tell them apart. Here’s a look at what makes some of the most popular models unique. Let’s start with the standard. This is the one gun by which the others will be judged. While it was not the first 92, the 92FS pistol marked a milestone in the gun’s evolution. This is the civilian version of the gun that became the M9. The 92FS weighs in at 34 oz. The overall length is 8.5 inches. Almost a full 5 inches of that is a barrel, which maximizes the effectiveness of the 9mm round. The gun functions as a traditional double-action on the first trigger pull, and as a single-action on follow-up shots. The slide-mounted safety is pushed down to engage the safety. The 92FS has been, for more than three decades, marketed to civilians and law enforcement officers who want a full-sized handgun for duty or self-defense. For many of us, the 92FS marked the high-point of the duty pistol. The 92 adopted by the U.S. Military in 1985 entered service as the M9. While its markings are distinct from the 92FS, it is functionally the same gun. In the last 30+ years, there have been some functional upgrades to the M9. In 2006, a new version of the M9 entered service. The M9A1 has a rail milled into the frame and has improved checkering on the front and backstrap. The magazines of the M9A1 are also upgraded. They are PVD coated and less prone to wear and rust. 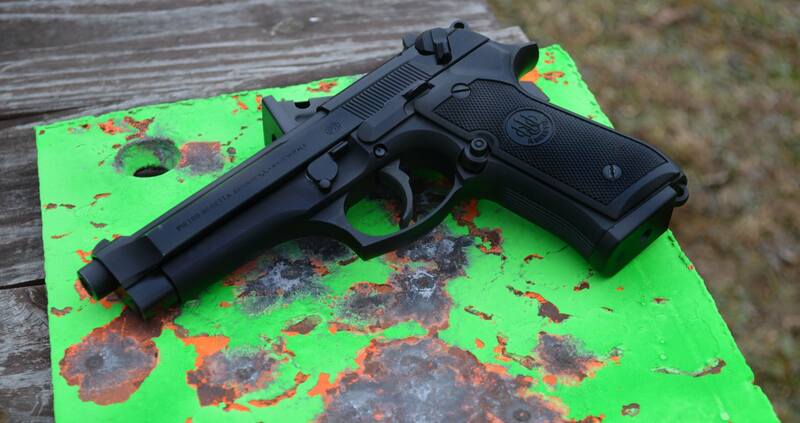 In 2015, Beretta debuted the latest upgrades to the M9. The earth-toned M9A3 comes with a 17-round magazine. It also has a rail. The grip is slightly thinner, making it easier to hold. The gun also has removable sights. One of the biggest changes was the modularity of the slide. Slides can be changed out between ones with the traditional slide-mounted safety, and one with a slide-mounted decocker (like the 92G). For those looking for a bit more flash, the 92FS Inox may be the obvious choice. The Inox is built from stainless steel. 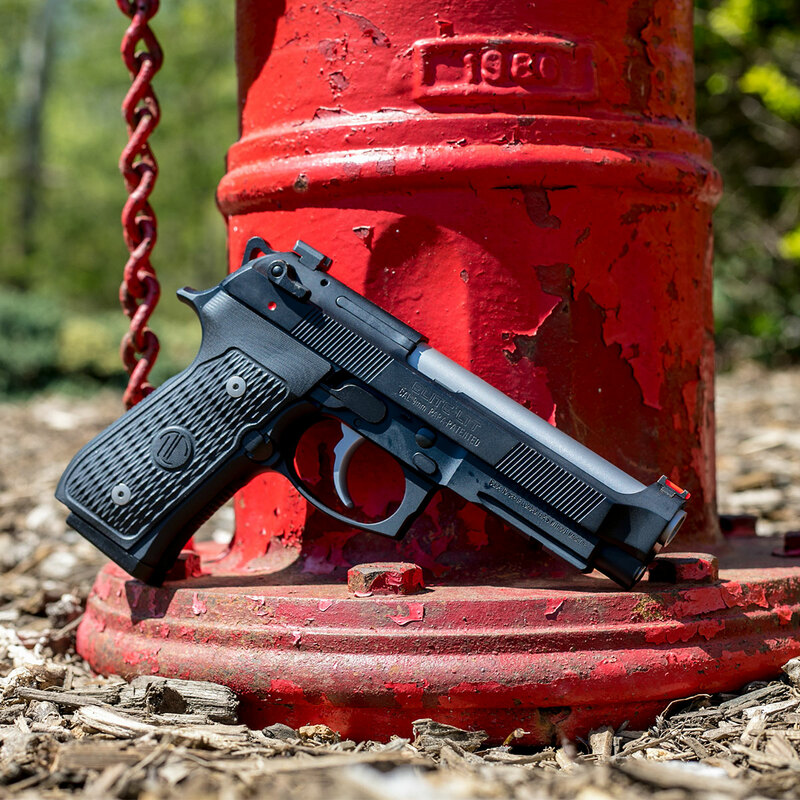 While there are some models with different grips, the Inox is functionally a shiny 92FS. While the Compact is hardly compact by current standards, it is smaller than the 92FS. The compact shaves off a bit of length. Its barrel is 4.3 inches long. The compact is available with a rail, too, or built from stainless in the Inox version. Compacts have been built with shorter grips (marked with the L designation) and with single-stack grips (designated as M models). The 92G is a traditional 92 with a twist. The safety lever we are all familiar with on the slide isn’t a conventional safety that disconnects the trigger like the 92FS. Instead, the lever simply decocks the gun. It doesn’t stay down in the safe position or deactivate the double-action trigger pull. The 92FS Brigadier offers another upgrade to the already robust 92FS. The Brigadier has a slightly enhanced line to the slide. 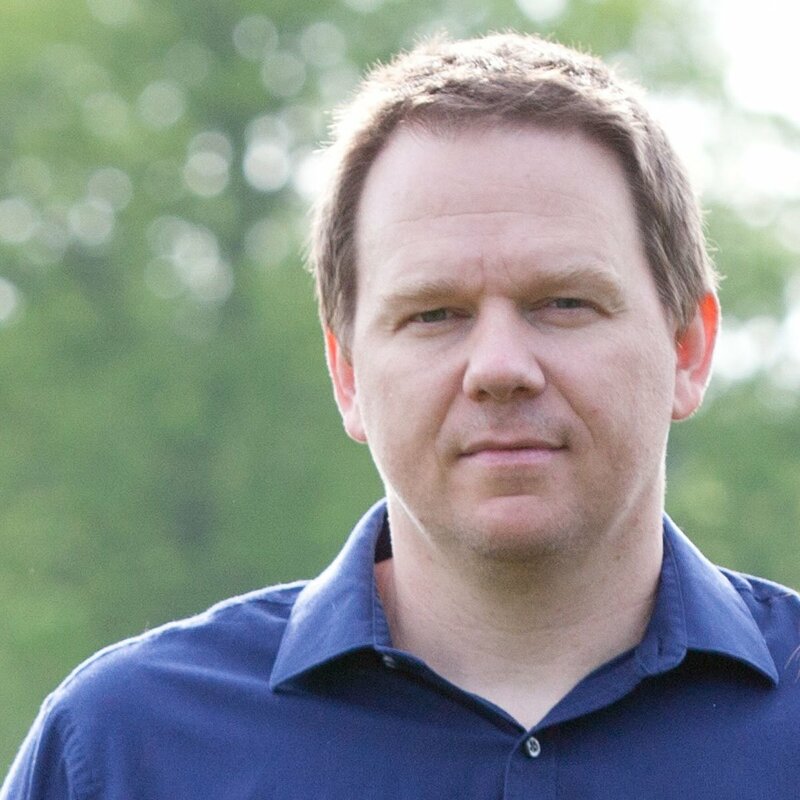 This adds weight, which reduces muzzle-flip and felt recoil. The dimensions of the gun are meant to add a slight bit of weight, but a measurable increase in durability to the pistol. Like other 92s, the Brigadier comes in Inox, too. The Beretta 92FS Vertec Inox combines the benefits of the thinner vertical Vertec grip with some premium tactical and combat features found in other members of the 92 (M9) family. In addition to the models above, there are other smaller derivations that often have abbreviated markings. DS designations mean the guns are double-action only. These guns have had their hammer spurs removed. The safety is a manual safety and can’t decock the gun, as the hammer won’t lock back as it would on a single-action model. 92s with the D designation are like a DS, but without the manual safety. 90Two pistols (not confusing at all, is it?) came in either 9mm or .40. Like the Brigadier, these guns are beefed up. They also have a rail and dovetailed sights. Under the hood, the 90Two has other updates. The recoil spring is captive and they have recoil buffers. Their mags have increased capacity, too. 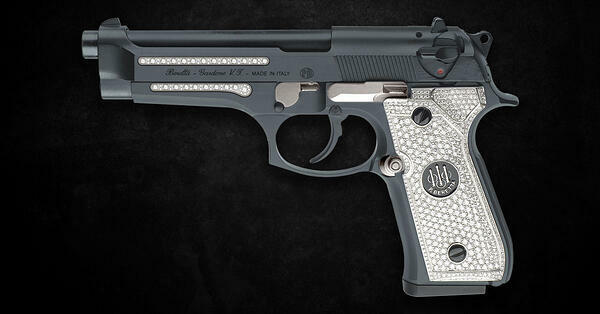 In response to the desire for a hotter caliber, Beretta ramped up the 92 family for .40 S&W. The 92A1 and the 96A1 (9mm and .40, respectively) offer upgrades to the platform that are borrowed from some of the other versions. The 98F is chambered for 9×21mm IMI. To those familiar with the look of the traditional 92, the Vertec can look a bit odd. The grip has been shaved to create an all-around thinner profile. The barrel is flush with the slide, too. 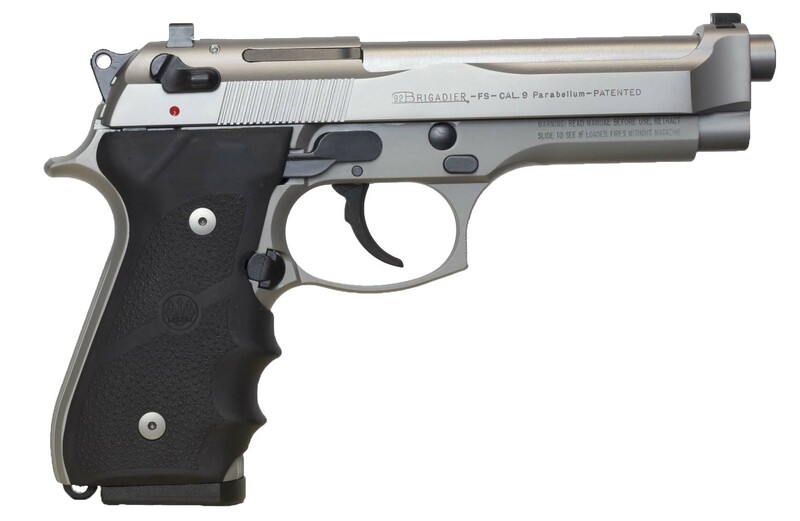 As of the writing of this piece, Beretta is making one highly refined version of the 92. 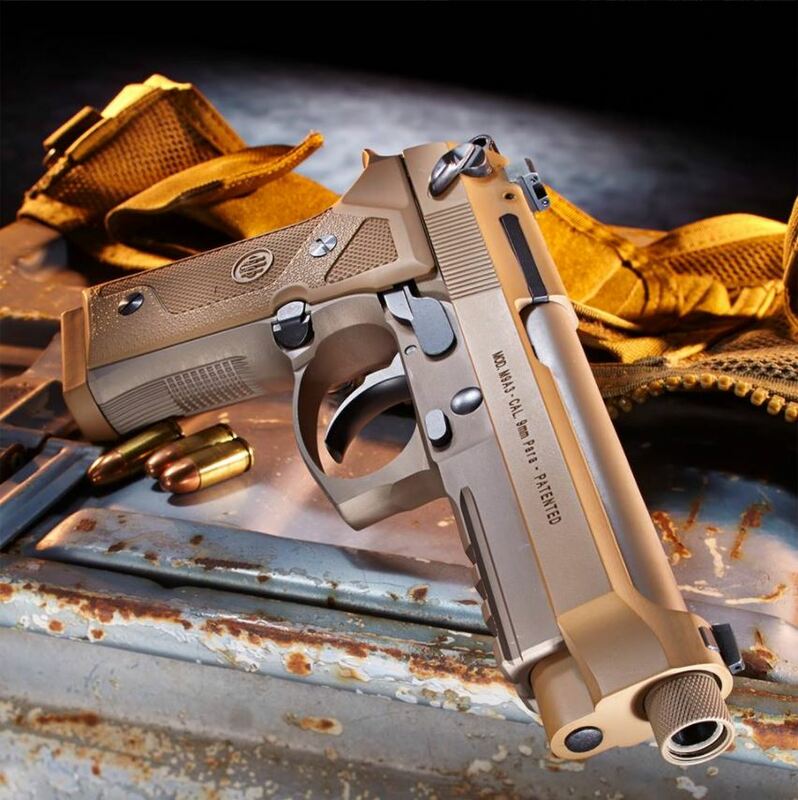 The 92G Elite LTT is built to the specifications of Beretta collaborator and firearms trainer Ernest Langdon. Langdon’s take on the 92 adds front cocking serrations to the slide. The grips are made of G10. Sights are dovetailed. The trigger and guide rod are both steel. The barrel is crowned. Even the springs are beefed up. The gun functions as a G (the lever acts as a decocker, not a safety). Perhaps the rarest of the 92 family is the 93R. This beast has a longer barrel and takes a shoulder stock. That last part is important as it helps control the rapid three-round bursts. There are other variations out there. The 92 family continues to evolve. Special editions come and go. And this list doesn’t even consider all of the copies and foreign-made knock-offs.